Today is figuring to be options heavy, with a few ideas jumping out to us here in the premarket this morning. NTNX, the first on our list, is currently exhibiting a chart setup that we’re constantly on the lookout for. We’ve got a stock rising up off of recent relative lows, with a massive gap to the upside, and a couple of our favorite buy indicators really standing out. 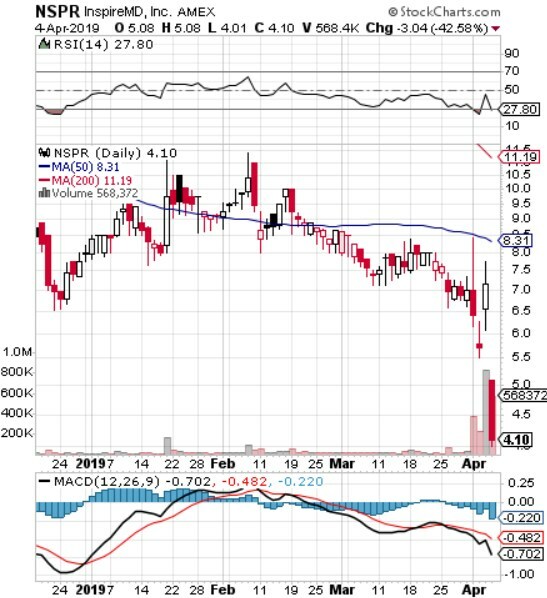 The RSI is attempting to come off of being egregiously oversold, while the MACD is rapidly converging toward an impending bullish cross. From the current juncture, a more pronounced rebound for NTNX looks imminent. We’re going to go ahead and signal the NTNX 05/19 $40-42.50 Calls to coincide with the present scenario. We also tirelessly look for earnings related options plays, and may have found a couple today, despite the current earnings calendar being a little on the light side. We are wrapping up a very solid week, which even included a twenty-bagger (NFLX $300 Calls, +2069%). This morning, with the markets appearing to be geared toward bullish finish to the week, we will entertain a range of SPY Calls, for the possibility of some good daytrades to really end things on a high note going into the upcoming long weekend. It was back on November 7th that we highlighted a large group of cannabis stocks, and professed our unyielding interest in the space as a whole. XXII was among those that we specifically highlighted as promising pot stocks in that report, and despite it being more than 8 weeks later, the stock has continually bulled its ways to new highs ever since. 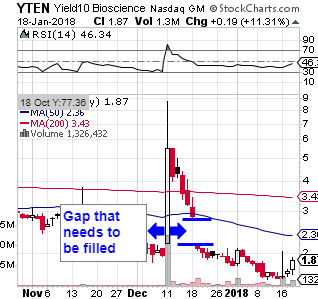 Following a huge single session run in early December, YTEN was unable to hold onto any of the ground it had gained, and with the ‘help’ of a massive public offering, continued to descend until recently. This week, the stock has begun to show signs of a bottom bounce, and we’re going to want to add it to the radar on a recovery watch. As you can see form the chart snapshot included below, there is a lot of room for a potential surge, including a gap to fill to the upside.